Learning to code is best done together. But, you already know that don’t you? It’s the reason you want to plan your very first learn to code event, after all! First things first, congratulations! You’re ready to invest time, energy, and (yes, maybe even) money to spreading digital literacy. Our community is built on diverse, non-traditional and accessible learning opportunities. Just like the one you’re about to build. Enough about you, us, and the state of society, though. Let’s get to the brass tacks of it. Are you ready to plan your first learn to code event? Once you’ve decided where you’d like to host, reaching out with a couple projected dates or options is typically best. Venues receive more proposals to host than you probably think, so being flexible while also providing context helps those folks help you. One aspect often overlooked is physical accessibility. How close is the venue to transit or parking? Can people with limited mobility navigate the space? Do the elevators use push-button access? Providing these details to attendees is crucial, as it may impact their attendance and sense of belonging. Sourcing a space that provides multiple forms of accessibility is typically the dream. I’ll assume by this point you have a rough idea of what language or topic you want to teach. Next steps are refining that, and deciding what approach will work best for your audience. The format is a deciding factor for folks in their learning journey, so deciding if it will be a hands-on workshop, panel, lecture, or unconference is important for your learners. Whatever format you choose, QAing the content is crucial. If you or your instructor are creating a curriculum for a workshop, running through it with an external party will help you smooth out any kinks before it’s presented to the public. If you’re working with a panel, be sure to provide them with clear questions in advance, and a heads up on the demographic so they can anticipate any questions or a focus. A lot of organizers get hung up on how many butts they can get into seats. While learn to code events are often a portion of marketing efforts, quality content is really what will inspire referrals and return attendees. Think: how can I provide the most value in this two-hour meetup? How does this audience learn best? The answers will inform your content choices significantly. People are at the centre of all events, so being deliberate with who will instruct is very important. Making sure they speak to, and connect with your demographic will impact the experience and likelihood of them continuing to code! If someone’s first introduction to coding is someone speeding through a workshop without explaining finer details, they may be too intimidated to continue. Find the perfect level of difficulty, combined with your instructors’ communication style, and that should facilitate a comfortable (but challenging!) environment for all the attendees. One aspect of instruction that often gets overlooked is mentorship. Just like our programs, at Lighthouse Labs we like to keep a healthy ratio of mentors to students for workshops. We find that it helps attendees progress quicker, but that it also allows more people to ask more questions and receive more meaningful answers. Ok, so now you have the when, where, what, and who. You’ve put in tons of work to make sure the space is perfect, your instructor(s) are ready, and your curriculum is seamless. Having a full house, and lots of attendees are probably top of mind! Marketing your learn to code event doesn’t need to be rocket science. In fact, after a few steps, you should be able to share your event with ease. Just as every step before, knowing your ideal audience is key. Where do they congregate online and offline? How do they communicate? You need to use their connection streams instead of expecting them to come to you. Once you’ve deciphered where your learners are, it’s time to get the word out there. First, you’ll need an event site. Choose a platform that helps you communicate your event goals and nitty-gritty details effectively. At Lighthouse Labs, we use Eventbrite. It’s straightforward to use with a million and one additional integrations. Some others you can look into include Picatic, Meetup, or launching your own website. Social media can be your best friend if you prepare it just right. Don’t have a strong online presence yet? Consider establishing a community partnership with a strategically aligned group that does so you can reach their network, and welcome them to your own. Email communications are also very important. All emails should be CASL compliant - which means you’ll need to read up if you aren’t in on the latest! If you’re using an event platform, most will automatically send reminders about date and location to registrants. Oftentimes, learn to code events require other instructions like device requirements, parking, or more. Sending a customized email the week before with those details often helps with attendee experience and projects an air of professionalism. Follow up communications are just as important as pre-event, especially when education is in the picture. Something we always ask ourselves when planning follow up is, “how can we continue to provide learning opportunities beyond this one interaction?” To support this, we round up additional learning resources produced by us and others in the community. We are also always sure to provide contact details and next steps with our programs, to make it easy for folks to keep in touch. And that’s it! Well, nearly it. With all events, you will find there are aspects you didn’t anticipate or surprises along the way. Beyond everything mentioned before, my biggest piece of advice: accept the chaos with curiosity. Things will not go perfectly your first time around, and that’s ok! Focus on the improvements, learner feedback, and your impact goal. With your priorities aligned, your event will be a success even if it’s not perfect! 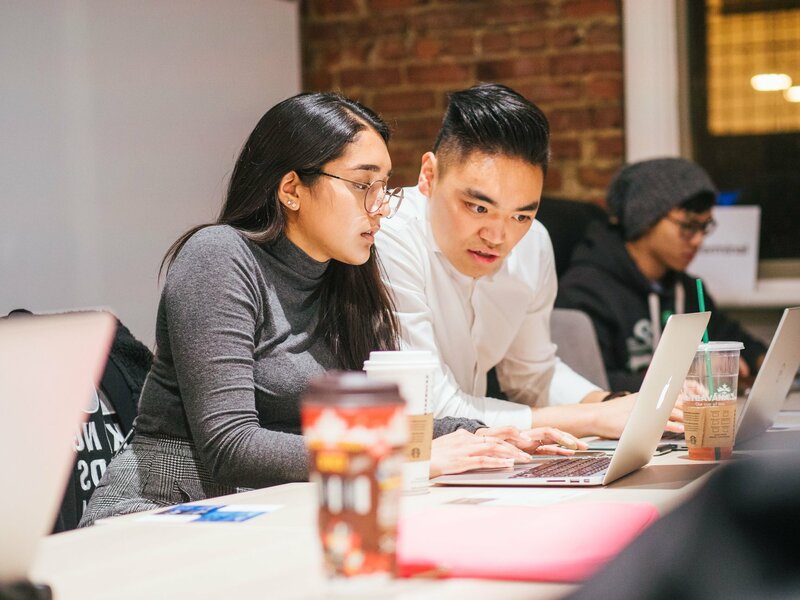 Check out the Canadian Universities Code Competition as well as our regularly-scheduled events throughout the year.